Ted Genoways is an award-winning writer and editor. He is a contributor for the New Republic and reporter for the Food & Environment Reporting Network. In addition to The Chain, he is the author of two books of poems and the nonfiction book Walt Whitman and the Civil War, named a Best Academic Title of 2010 by the American Library Association. He is under contract with Norton for two new books, This Blessed Earth: A Year in the Life of an American Farm and Tequila Wars: The Bloody Struggle for the Spirit of Mexico. Genoways is a contributing writer at Mother Jones, The New Republic, and OnEarth. His essays and poetry have also appeared in The Atlantic, Bloomberg Businessweek, Harper’s, The New York Times, Outside, and the Washington Post Book World. He is a winner of a National Press Club Award and the James Aronson Award for Social Justice Journalism, and he has received fellowships from the NEA and the Guggenheim Foundation. He served as the editor of the Virginia Quarterly Review from 2003 to 2012, during which time the magazine won six National Magazine Awards. He lives in Lincoln, Nebraska, with his wife Mary Anne Andrei and their son. Caryn: Welcome to the show It’s All About Food and my next guest, Ted Genoways, is an award-winning writer and editor. He is a contributor for the New Republic and reporter for The Food and Environment Reporting Network. In addition to The Chain, which is a book we talked about a few years ago on this show, he is the author of two books of poems and the non-fiction book Walt Whitman and the Civil War. Named a Best Academic Title 2010 by The American Library Association. He is under contract with Norton for two new books: The Blessed Earth: A Year in the Life of an American Farm and Tequila Wars: The Bloody Struggle For the Spirit of Mexico. 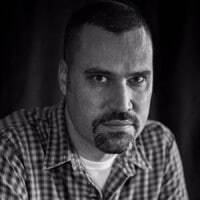 Genoways is a contributing writer at Mother Jones, the New Republic and On Earth. His essays and poetry have also appeared in The Atlantic, Bloomberg, Businessweek, Harpers, The New York Times, Outside, and The Washington Post Book World. He is a winner of a National Press Club award and the James Aronson Award for Social Justice Journalism. He has received fellowships from the NEA and Guggenheim Foundation. He just wrote a fantastic report. I read it yesterday and wow am I lucky to be able to talk to him about it today. Welcome to It’s All About Food! Ted, how are you? Ted: I’m doing very well thank you. That’s quite an introduction. Caryn: Yeah, well you are quite somebody. Thank you for all your hard work. Ted: Thank you for having me on. I’m glad to be here to talk about it. Caryn: I remember your book The Chain. We talked about it a few years ago. I wish these kind of books were required reading for everyone to realize how so many different things that we think we have clear opinions on, are connected. We don’t have a clue how things became what they became. Ted: Well that was really the whole concept behind The Chain in the first place. To look at, with that book, the way in which the supply chain is affected whenever there’s any kind of change in that case production speed. As soon as a company starts saying, “We need to produce faster.” It has implications for the worker safety, for food safety, for environmental issues and animal welfare. As you say, these issues are all interconnected. We tend to tackle them as independent problems but very often the solutions that we’re trying to find for these problems in isolation are actually working against each other. Caryn: That particular book focused on the company Hormel, the makers of everyone’s favorites product, Spam. Ted: Minnesota. Yeah it was also set in Minnesota. The thing that’s sort of interesting- I would say that the thing that was starting to change as I was finishing the writing of that book was not anything in terms of the conditions within the meat-packing plants or the supply chains that make those plants possible, the biggest change was in the demographics of the work force. As the industry was starting to look for a work force that was similar to the undocumented work force that they have been relying on for close to 20 years, in terms of language barriers and disconnectedness from the community and that sort of thing. But not being subject to immigration and customs enforcement. Raids. The industry at that time was just starting to turn toward refugee labor. That was most visible in the Hormel supply chain with the addition of Karen workers from Burma. There was also just starting at that time to be some influx of Somali workers who are now a huge part of the work force in poultry and beef. Caryn: Right. That brings us to your article. The title of it, could you tell me the title of it? I don’t have it in front of me and I don’t want to say it incorrectly. Ted: Sure the title and I think it’s important to note the title is in quotation marks. It’s something that is taken from one of the people in the story. The title is, “The Only Good Muslim is a Dead Muslim.” Which is spoken on FBI wire taps by one of the group of men from Southwest Kansas who had decided that they would undertake a kind of Timothy McVeigh style bombing of an apartment complex in Garden City, Kansas that is filled with refugee meat packing workers from a nearby Tyson packing plant. Caryn: This is an American story Ted. Ted: Well it is. On a number of levels. Certainly the immigration story. The story of new people arriving in this country and trying to make a better life for themselves. The meat packing industry has almost always been that bottom rung of the ladder. That’s been the case really since the meat packing industry was industrialized in the era of Upton Sinclair. At that time, when Sinclair was visiting the stock yards in Chicago and going to the Swift meatpacking plant it was primarily filled with Jews who were fleeing the pogroms in Eastern Europe and Russia. Greeks who were coming from the Mediterranean. A very different kind of demographic but a similar story. These were people who were fleeing violence, who were fleeing oppression and who were coming to the United Stated hoping for a better life. We still see today that that’s what drives a lot of refugee migration. Yet, the obstacles that were faced by the immigrants in the time of Upton Sinclair are still the same obstacles that refugees face now. Discrimination in terms of housing, difficulty being able to unionize and improve work conditions in the packing plants, and obviously discrimination as well from the community, from people who feel that they’re displacing them from jobs or are depressing the pay that the workers may be able to demand. It creates friction within the communities. It’s been that way for at least 100 years. Caryn: So, can we say it’s better, worse, the same, don’t know? Ted: I mean I think it’s, I don’t think it’s better I’m sorry to say. I think the chief way that it’s worse is that there’s a moment right now where a lot of the fears and suspicions that surround refugees and have always surrounded refugee groups- suspicions about their culture, their religions, their ways of eating. Food is almost always a point of conflict and discrimination. Those rumors and misconceptions now are spread very rapidly on social media. There’s a wave of things that once were whispers, now get magnified by the megaphone of social media. People who have shared fears are better able to find each other. I think it has an effect of magnifying those misconceptions. Rather than people being forced to interact with each other and find points of contact, it’s a little bit easier to retreat into the eco-chambers that we’ve created for ourselves. Caryn: The polarization is getting greater. Ted: I think it is. One of the things that stunned me in the reporting of this story- the men who planned this bombing were arguing to the FBI undercover agents who they were in contact with who they believed were members of a criminal syndicate who could help them construct the bombs that they wanted to detonate. They were repeatedly telling them that they believed that the Somali’s were not only displacing people from jobs and Muslims, and all of the sorts of fears that go with economic insecurity and religious insecurity, but there was a lot of conversation. Repeated in their Facebook feeds in particular, about the belief that their corner of Kansas, this remote area where the largest town of any size in that whole part of the state is 25,000 people, that it was poised to be overtaken by UN troops should Donald Trump win the general election. And that Obama was going to declare Martial Law. Those UN troops would roll in in their UN tanks, overtaking the towns and closing the roads. The Somali immigrants would be bused into every town to take over and control the communities. It’s utterly absurd and delusional. I mean, if you think even for a moment what kind of occupying force the sheer size of an army you’d have to have that it would be able to overtake every small town in every part of America. But what it shows is that one of the things that has happened with social media and with all kinds of media being present in our lives at all times, is that the international and national news seem to be playing out on the local level. When we see this conversation about the dangers of immigrants, the dangers of terrorism, our perception is not that those things are very far away because they’re taking place in our living rooms. They’re repeated on our Facebook discussions and on our phones with us at all times. So, I think people have this perception of these things being very present. That sort of distortion makes the concerns that everyone I think in the media already has, about fake news stories and about disinformation sites that are intentionally trying to mislead people. I think this campaign has been so successful in the last few years, because the dissemination devices are with us at all times and as such, those who have fears and would be violent are able to self-radicalize 24 hours a day at any time, anywhere. Caryn: We’ve got plenty of data and research for those who are interested in looking for it, that shows that immigrants benefit our society. That immigrants who come in legally and illegally are good workers, and help improve the economy and sometimes do the work that other people don’t want to do. We’ve also seen that the terrorism that has occurred in this country has been performed by citizens of this country who were born here and not by these immigrants that people are so afraid of. You mention in your article, the Somali’s joined earlier waves of Cambodian, Vietnamese, Burmese and Hispanic refugees. The difference is that the Somali’s are Muslim? Ted: I think it’s partly that. I think it’s partly the religion and partly, I mean I don’t think it can be underestimated that they’re not only Muslims but they’re black Muslims. The wave of Somali immigrants coming into Garden City really started in 2006. So, it was not too long after September 11th and it was not long after a whole program of immigration raids that have been undertaken by the Bush administration. There was a strong anti-immigrant sentiment at the time and certainly a strong anti-Muslim sentiment exactly at the moment that this population was arriving in a place that was at that time over 90% white as well. Looking at least across the demographics of that whole corner of the state. What’s interesting about a place like Garden City is that as you say, it was a wave of immigration that was building on previous waves. So, there had been Vietnamese and Cambodian refugees who had been some of the first workers in the meat packing plants in that area after the authorization of additional refugees being brought into the country in 1980. That wave was followed by Hispanic workers, both legal and illegal, coming out of Latin America and Cuba, as well as Guatemala and Mexico. So in some ways there were some people in the community I think who were sort of acclimated to the changes that were happening in the community, and seeing at a civic level how the immigrants were bolstering the town’s population and allowing businesses to thrive. But there were also other people who were looking at these waves of immigration building on each other and were seeing the white percentage of the community start to dwindle. Eventually, their sense was that they were I guess some would say loosing their culture. I think others might say loosing their inherent supremacy in a community like that. Caryn: Absolutely. It’s happening everywhere. The last piece of this is that the story centers around a meatpacking town, a meat packing industry. I’m a vegan. I think factory farming is probably one of the worst creations humanity has ever come up with. We were just talking to Dr. Mills, Medical Doctor, about how plant-based diets are really the ideal diets for humans and our health care costs are soaring because people have heart disease and diabetes, which are preventable and reversible. People’s health today, in general is terrible because of our diet. I would like to see all of this just go away, completely. Start some new industries. Help these people get involved in growing organic food and doing things that are better for the environment. I can dream can’t I? Ted: Well certainly the beef industry is incredible entrenched. I think it’s also worth noting in these sorts of things that the beef industry that exists now is a relatively new creation. It was not so long ago that the way we raised cattle was by raising them on range land, was raising them such that they were grazed rather than being brought into feed lots and corn fed and given other types of feed. That change has radically re-shaped the food system. It’s radically reshaped the American diet. I think that anyone, regardless of whether you’re a meat eater or a vegetarian or a vegan, I think you’d have a hard time arguing that it’s been good for our health. Certainly the obesity epidemic is on full display and has been in many ways driven by industries connected to the beef industry, fast food in particular. It’s also become an increasing public health problem in terms of what we’re finding about antibiotic resistance and other sorts of public health impacts coming from feedlots and other kinds of animal confinements. Last but not least obviously, the environmental impacts. At a moment when we’re trying to figure out ways to reduce environmental impact and our environmental footprint. I do think that it’s important to bear in mind that the burgeoning of the beef industry, particularly feeding beef what we have been in the forms of corn and other grain feeds, has been really problematic. It makes sense at a moment when it’s still possible to be thinking about ways of improving at the very least that food system. It’s not a sustainable food system and given that, it only makes sense to change it in some way or another. I think the prospect, at least the present of the American people as a whole going over to vegan diets seems remote, but I would also say that there are changes happening all the time. I think it makes sense to me in whether we’re talking about things like forms of new energy, or talking about ways of changing the food system to always be pushing towards whatever we consider to be the ideal and not merely some incremental change. We might as well go for what we’d really like to see in the world. Caryn: I want to sum this up kind of like how I summed up the first part of this program. What I think isn’t sustainable is Capitalism as we know it. It’s based on exploitation. In your story there’s so much exploitation going on. Even the original towns people, well there’s no original towns people there, but the people that were there before the Somali’s and the other immigrants that were brought in- even they have been exploited to some extent. The industry exploits everyone. We are trying to get, squeeze whatever we can out of everyone that we can. People and animals, the environment, so that we can sell things for the lowest cost and make the greatest gain. That’s not sustainable. Ted: It’s really not. It’s true that every thing in the industry is built on a model on infinite growth. While that has been remarkably sustained for a period of almost 50 years in the case of the beef industry in the form of additional irrigation for feed crops and bringing cattle into larger feed lots and finding new industrialized methods and finding work forces that are cheaper and willing to work under more difficult circumstances. It has really reached a point that is a kind of unbreakable limit. As you say, the land can only sustain so much. It’s only possible to push the animals to certain physical limits. Even with the mechanization and some of those changes that have happened on the packing line, you can only push people so far. I would agree with you that it seems to me that at a point before the system utterly ruptures and we have a total crisis on our hands, I think it only makes sense to be looking for ways to repair the system and turn it in a new direction. Caryn: Ted, thank you for joining me on It’s All About Food. We’re at the end of the hour and I want to direct everyone to newrepublic.com. You can read this article that was posted yesterday- May 15, 2017. “The Only Good Muslim is a Dead Muslim.” That’s in quotes I didn’t mean that. “A meatpacking town in Kansas opens its doors to Somali refugees. Then a group of Trump supporters plotted to kill them after Election Day.” Please read it. Share it. It’s important. Ted again, thank you for your work. I really appreciate what you’re doing and I look forward to whatever you’re going to write next. Ted: Thanks very much. I appreciate the chance to talk to you about all of this. Caryn: OK, thank you for joining me. Well we’ve come to the end haven’t we? Yes we have. I enjoyed it I hope you did. If you have any comments or questions you can reach me at info@realmeals.org. Visit me at responsibleeatingandliving.com. Please read my blog, What Vegans Eat if you’re struggling with moving towards a more plant-based diet or eating vegan. You can see what a couple of vegans eat every day. It’s all there with recipes. I hope you enjoy it. Thank you for joining me. I’m Caryn Hartglass. This has been It’s All About Food. Have a delicious week!